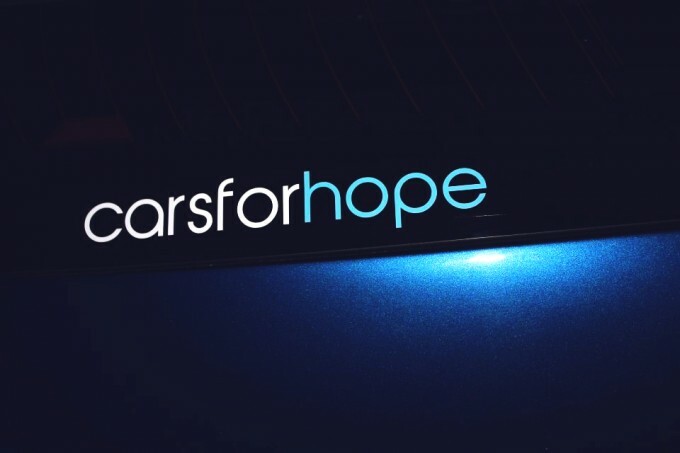 Cars For Hope vinyl decal. 20cm or 50cm in length. Available in various colourways. Have a read of what the sticker means to us. Get involved in our #DRIVINGFORHOPE campaign. Available from our Official Online Store. We ship worldwide!